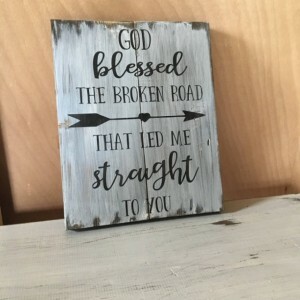 BLESSED SIGN//GOD Blessed the Broken Road//Rustic Wall Decor//Wedding Gift//Anniversary Gift//Bedroom Decor//Wedding Song/Country Home Decor DETAILS: * GOD BLESSED THE BROKEN ROAD THAT LED ME STRAIGHT TO YOU * Measures 11" wide x 12" tall (framed version is approximately 12.5" wide x 13.5" tall) *Protective polycrylic top coat * Includes hanging hardware * Optional frame (black by default, other colors upon request!) COLORS: * White washed background with black lettering. CUSTOMIZATION OPTIONS: * Custom colors are available! 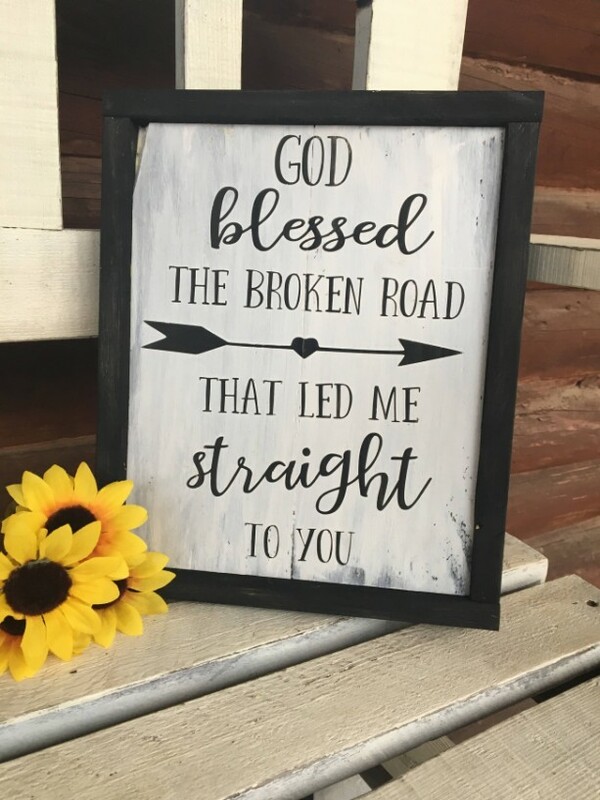 Please message me about a custom order if you would like different colors. All of our signs start out as hand selected North Idaho forest that is then home-milled by our next door neighbor. This is how we are able to keep our prices lower than the rest! We hand select each piece of pine before cutting, sanding, and staining or painting the background. Then your sign’s design is hand painted (no vinyl cut outs here!) and sealed in a protective top coat. All of our finished products include hanging hardware. 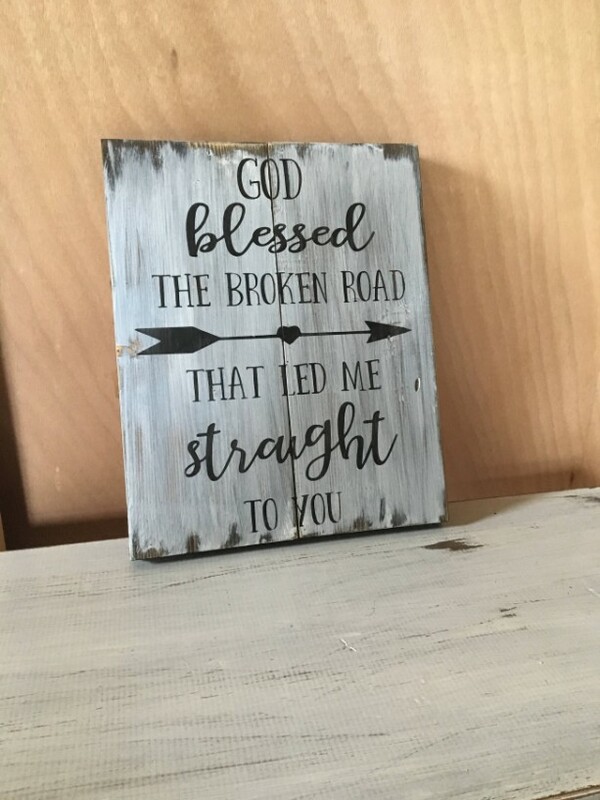 Since each piece is made to order, your sign will be one of a kind. 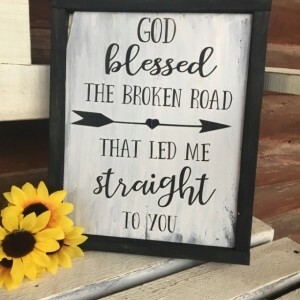 Designs, sizes, and colors will remain the same, but the knots and grain differences vary from board to board and ensure that your art work is unlike any other. Thanks for shopping!